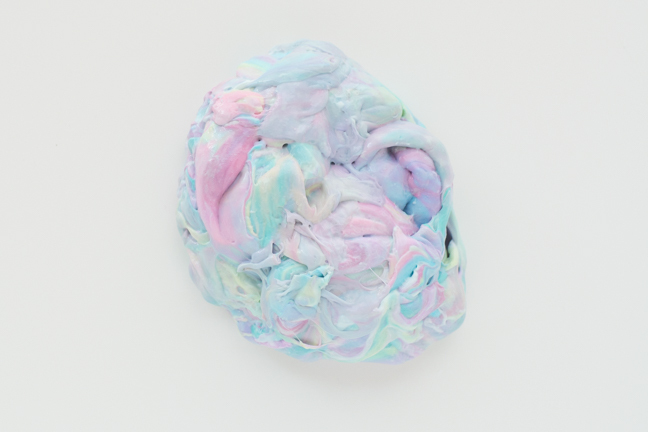 With only three ingredients and a couple of tools you can make your own homemade Silly Putty. But I’m leaving the boring, single-colored DIY Silly Putty for everyone else. 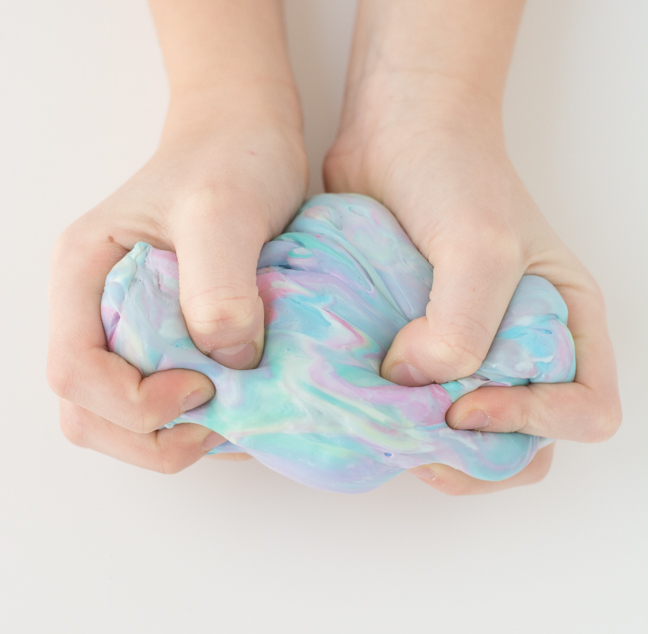 My kids love color, so when we make homemade Silly Putty we make it in all the colors of the rainbow, because that’s way more fun. This project only takes a few minutes, and it’s the perfect way to spend a moment with your kids making it, then let them go wild on their own with end result. 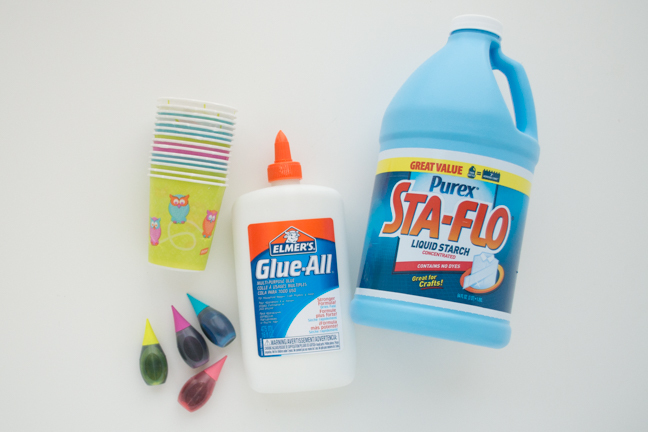 So the next time you find yourself cooped up with your kids, follow these simple steps on how to make Silly Putty at home. 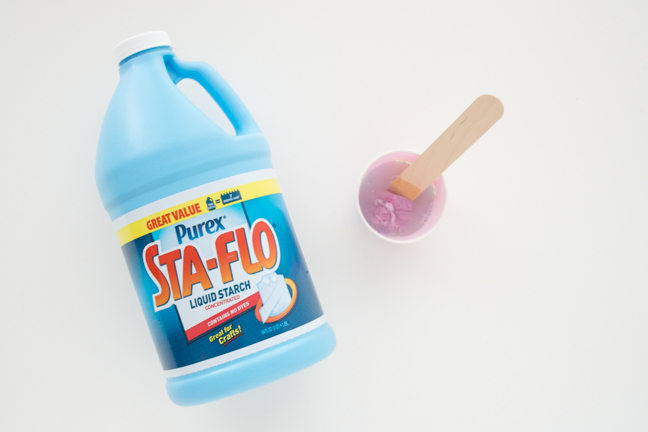 Step 1: Silly putty is equal parts glue and liquid starch. 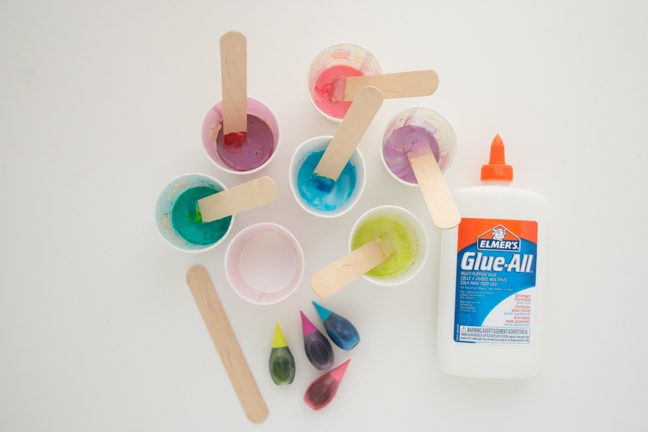 Measure out equal amounts of glue into paper cups. Drop in color and mix well. Step 2: Add in the liquid starch and stir. Not all of the starch will get incorporated. Do this for all the colors. Then let them sit for five minutes. Step 3: After the five minutes, scoop out the color mix and toss the excess liquid starch. Once each color is out, put them all together and massage the mix for three to five minutes until it’s smooth and well combined. Don’t lose hope if it’s piecey and it feels like it will never combine. It does, just give it time. Step 4: With lots and lots of kneading, the colors will eventually combine.